Being a woman in the workplace is challenging enough. Being a woman of color in the workplace is a whole other thing. 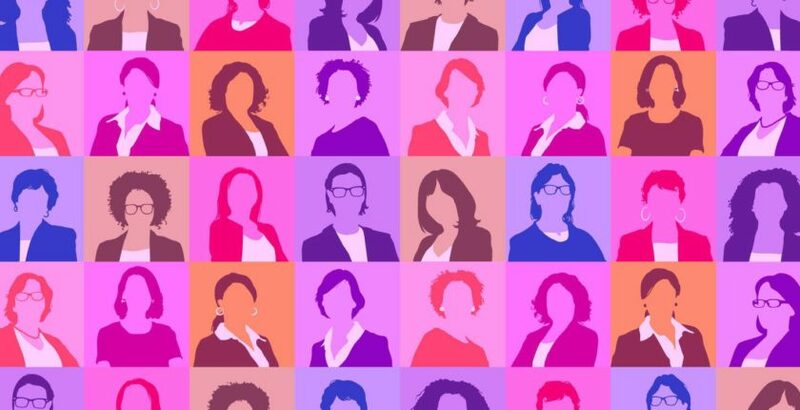 Continue reading to get a sense of the many challenges faced by women of color in the workplace and some keys for success in the workplace. Discrimination: Ever heard your boss say “You just don’t fit the brand” or “You aren’t what our customers want.” These are just a few of the many acts of discrimination women are faced with at work. Victims of False Stereotypes: Millennials are often viewed as being lazy and out of touch with reality. The “angry black woman” is just one of several stereotypes women of color face at work. Pay-Gap: Women, in general, are still receiving less pay for the same work as their male counterpart. Leadership Roles: Many times, projects are given to our male counterparts, regardless of experience. Women of color are rarely given the opportunity to be in top leadership roles. Support: Women of color receive less support from their managers about work and career opportunities than their white female counterparts. Fewer Strikes: Women of color are not given as many chances to fail as their white coworkers. You don’t get multiple strikes, you get fewer. Racial Bias: A research study released by Catalyst found that over 40% of, Black, Latinx, Asian, and multiracial employees feel on guard because of anticipation of racial/ethnic bias and that 38% said being on guard made them more likely to consider leaving their jobs. Don’t be Afraid to be Yourself: According to studies conducted by the Center for Women Policy, 21% of women of color feel they cannot be themselves at work. Many feel they must downplay their ethnicity in order to increase their chances of success at work. Being authentic changes the dialogue about women of color at work, bringing issues faced by women of color at work into focus. Speak Up: Speaking up will open the dialogue of issues faced by women of color in the workplace. Challenge yourself to speak up, even when confronting preconceived notions. You have too much knowledge, experience, and insight to not share within the company. Show Up: Intimidation and being shut down on ideas can hurt one’s confidence. The challenges faced by women of color can be overwhelming that there may be times when you feel like giving up or may stop giving ideas, participate, or even resign. But it’s important to show up. While demonstrating your best work may go unnoticed at times, consistently showing up and bringing your best contribution to the table is crucial. Share Your Experience: Sharing your experience as a woman of color educates your co-workers and peers about the understanding of who you are and your experiences. Mentor A Woman of Color: Your experience can empower others. Sharing your experiences can help advise another woman of color on ways to handle certain situations a work. Help keep the door of opportunity open for those coming in behind us. This can improve work environments for the future generation of women of color. Hit Your Skills: Finding your key skills and interests will give you the edge you’ll need to attract the right opportunities. It will allow you to stand out from your coworkers.